That's right, I'm writing first impressions for a ten year old game. Partially because of the iOS rerelease, partially because of the ten year anniversary and partially because of the likely PSN release. But mostly because that's just how I roll. 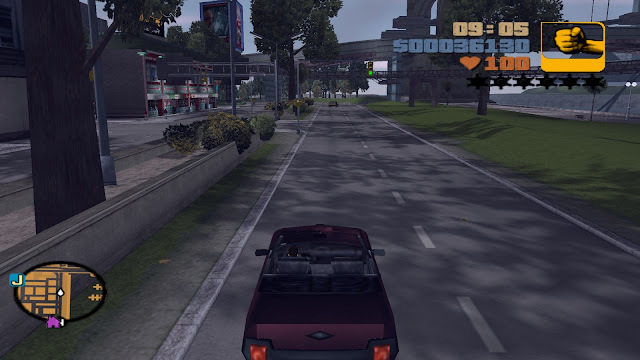 As promised, I have been playing Grand Theft Auto 3. I've made it through the first third or so of the game; I'm finally out of Portland and the next island is unlocked. And I kind of feel like dropping a few thoughts on how my experience has been so far. Like I mentioned before, I have very little experience with GTA and zero experience with GTAIII. So I've been a little surprised as the game wasn't really what I was expecting. Here's the scoop on my journey as a career criminal. The first thing I wasn't really expecting was how thin the story is. It feels bizarre that the same people who did Red Dead Redemption and GTAIV released something with such a minimal storyline. I know, I've seen the picture floating around of the script, but it still feels weird. The missions are generally very disconnected from the overall storyline; normally this would annoy me except there isn't an overarching story to care about. It's completely devoid of emotional investment; does it matter to me if the nameless protagonist finds the lady who shot him? You aren't even told their names. No matter if you thought John Marsten was intelligently fleshed out or heavy handed, at least he had a proper impetus for his narrative arc. Does it matter that the story is kind of muted in GTAIII? Not at all. But it does lead me to my next observation: for a game that's lauded as such a massive leap forward from the first two GTA games, it sure does feel really similar to its predecessors. The mission structure is basically the same, the gameplay isn't really willing to take advantage of 3D space yet—I mean, one of the camera options is the classic style top down camera—and the story elements are just as thin. I'm starting to think that the great leap forward for open world action games wasn't exactly as massive or as disparate as people seem to claim. 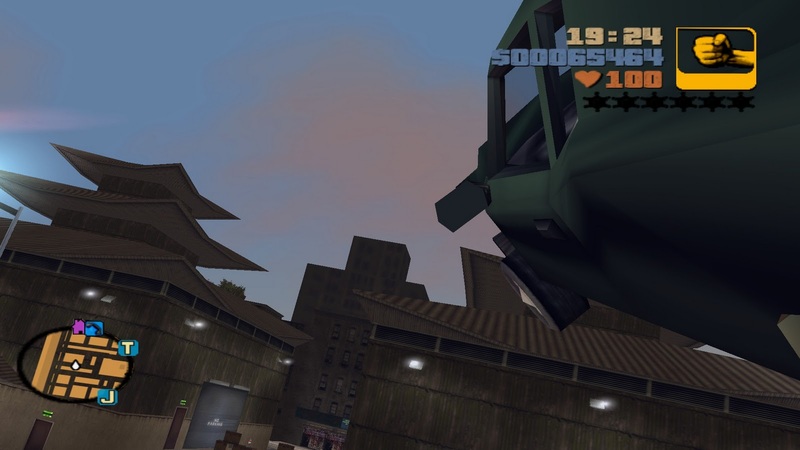 Rather than a sudden jump into the future, GTAIII feels like a comfortable step into 3D. That being said, you can see certain elements of grandeur that would eventually become fully realized in later releases. There are hints of what's to come. The radio stations are very basic yet the foundation is there for the grand epic soundtracks found in later titles. The social criticism is far more pronounced than ever before, and the game functions more as a parody than as violence simulator like you found in the retro GTA titles. And the immersion is just beginning to become obvious; it's not quite the living breathing world of GTAIV, but it feels more like an actual city than any other game prior. So in the end, GTAIII seems like the missing link, or the awkward teenage stage of the series. It's an interesting history lesson. This is all well and good, but is the game still actually fun? Does it hold up ten years later for those without the rose coloured glasses of nostalgia? And what about the moral crisis? Let me just get back to this sweet jump off a building I was about to pull off, and I'll let you know. And yes, his name is Claude, and her name is Catalina. But you get my point.